Unfortunately, I have had a number of opportunities to photograph wildlife entangled in plastic debris. Plastic Debris. We make it, we use it and then we leave it behind. This stuff is killing animals and causing problems everywhere. I find it dismaying every time I come across abandoned netting (ghost nets) or monofilament fishing line in the ocean. 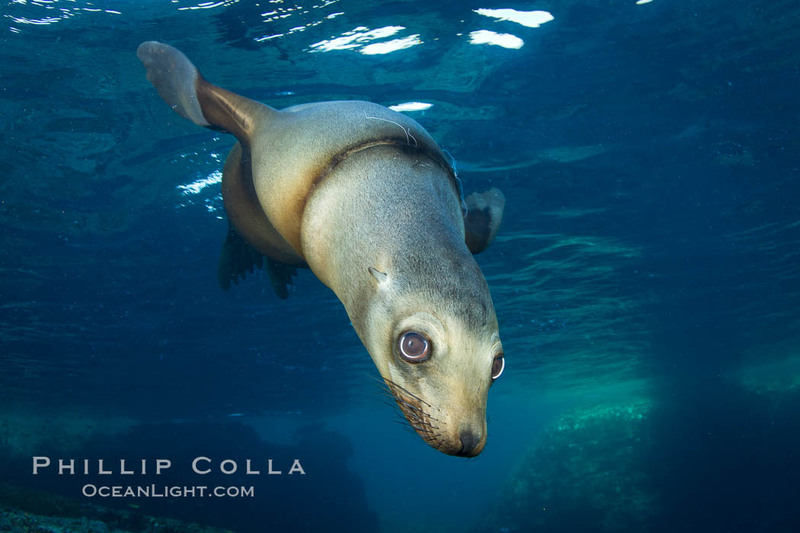 Often the monofilament is wrapped around a sea lion’s neck as in these photos, or tangled on a reef where it can snag passing fish or invertebrates. 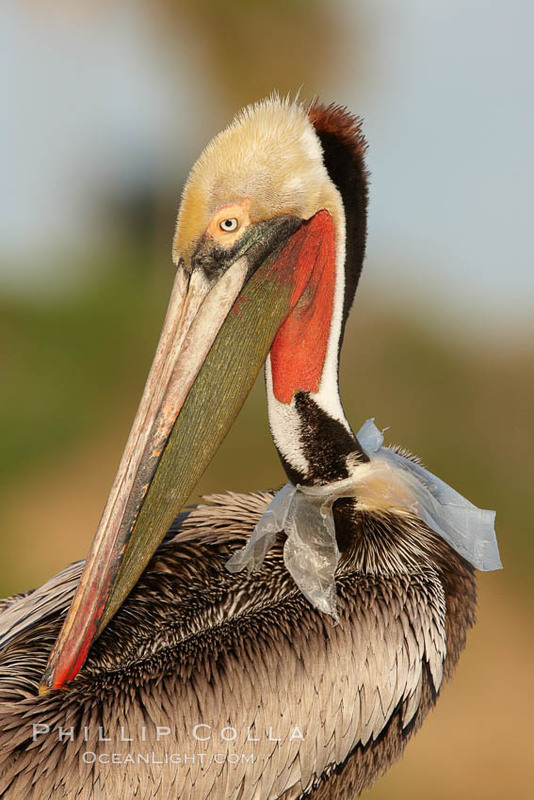 I’ve also come across some animals entangled in plastic shopping bags, such as the brown pelican pictured below. At least plastic shopping bags degrade somewhat when exposed to sunlight, so those animals stand a chance of recovery provided they do not eat the bag in an effort to remove it. Alas, in all three cases shown below I considered how to assist the animal pictured but no opportunity presented itself. 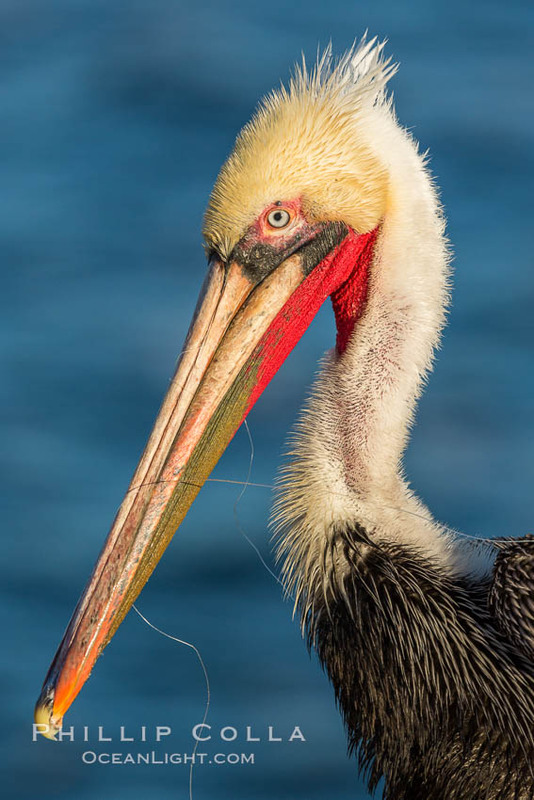 A California brown pelican entangled in a plastic bag which is wrapped around its neck. This unfortunate pelican probably became entangled in the bag by mistaking the floating plastic for food and diving on it, spearing it in such a way that the bag has lodged around the pelican’s neck. 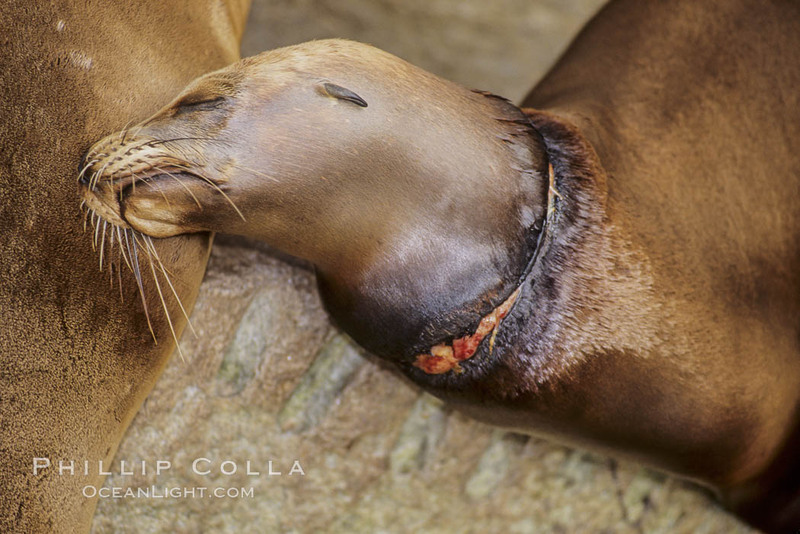 Plastic bags kill and injure untold numbers of marine animals each year.